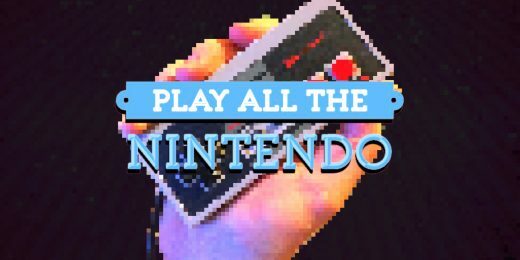 This week on Play All The Nintendo, I take a swing at Baseball Simulator 1.000, Basewars and Barker Bill’s Trick Shooting. PATN Week 13 – Balloons. Beaches. Bad Street Brawlers. This week on Play All The Nintendo – I tussle with some thugs on Bad Street Brawler, play the links in Bandai Golf: Challenge Pebble Peach and hit the skies with Balloon Fight! This week on Play All The Nintendo: Astyanax, Bad Dudes and Bad News Baseball. 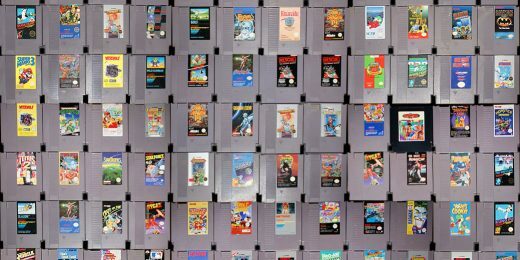 I love the NES, it’s so bad. PATN Week 11 – Arkista’s Ring and I liked it (mostly). Back To Future? Can I get my time back? This week on Play All The Nintendo – Arkista’s Ring and 2 awful Back To The Future games. Any way I can take a time machine back to a period I hadn’t played these? PATN Week 10 – Arkanoid arches rival gladiators in America. This week on Play All The Nintendo: I find two old friends and 1 new friend with common interests: American Gladiators, Arch Rivals and Arkanoid. 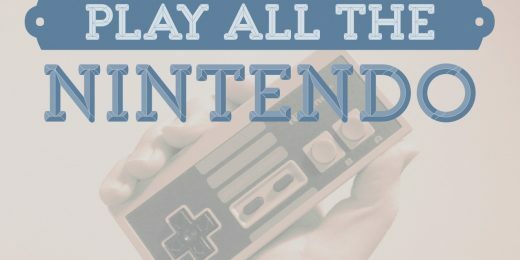 This week on Play All The Nintendo! I play Alfred Chicken, Alien³, and Alpha Mission, and manage not to have many of my feathers ruffled. This week on Play All The Nintendo, I fly through Air Fortress, crash and burn on Airwolf and race through Al Unser’s Turbo Racing. PATN Week 7 – The Adventures of Rad Riki Rocky! This week, I try out The Adventures of Dino Riki, Rad Gravity, and Rocky And Bullwinkle and Friends. Respectively. This week on Play All The Nintendo, I trudge through some bad headers to get to a lovely trio of puzzlers from Hal Laboratory. PATN Week 5 – Hudson, we have to go back to the island. This week on Play All The Nintendo! I trudge my way through almost 3 Advanced Dungeons & Dragons games. This week on Play all the Nintendo, I cover Abadox and two Addams Family games. Play all of the Nintendo!